With so many releases packed into one summer, All 6’s And 7’s continues to stand out from the pack. Spin magazine compiled their list of “24 Summer Albums That Matter Most”, and listed Tech N9ne’s All 6’s And 7’s as a significant summer release. Highlighting the album’s star studded cast, Spin gave All 6’s And 7’s a well deserved nod along with albums from Bad Meets Evil, Big Sean, and Red Hot Chilli Peppers. Carrying big hits like “Worldwide Choppers” and “He’s A Mental Giant”, All 6’s And 7’s is bound to be the hottest soundtrack to a scorching summer. 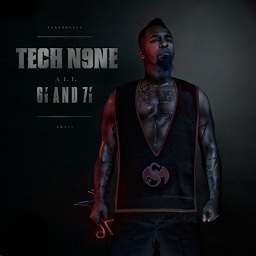 “Worldwide Choppers” and “He’s A Mental Giant” were produced by Seven.